On Sunday, two NFL games will determine who will face off in Super Bowl LIII. And while all eyes will be on Tom Brady of the New England Patriots, Patrick Mahomes of the Kansas City Chiefs, Jared Goff of the Los Angeles Rams, Drew Brees of the New Orleans Saints, and each of those quarterbacks’ high-profile weapons and supporting cast members, the reality is that playoff heroes rise out of nowhere every January. Here are two players from either side of the ball on all four rosters who could emerge from relative obscurity to make a tremendous impact on conference championship weekend. 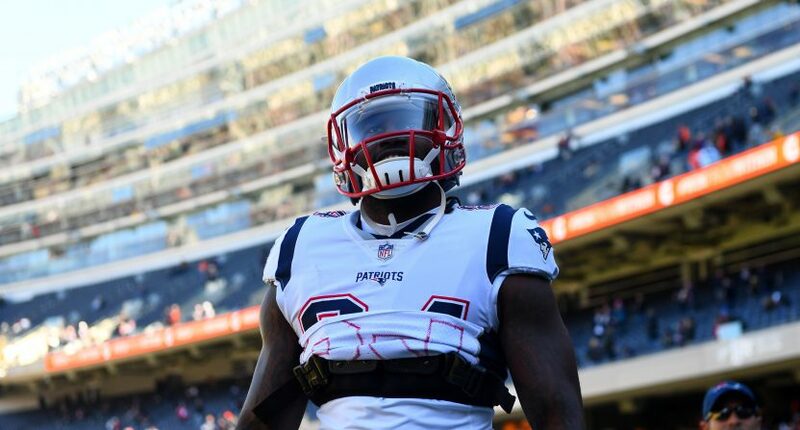 Few Pats offensive players are under the radar, but it’s easy to forget about the shifty Patterson when focusing on Sony Michel, James White, and Rex Burkhead. That’s what Bill Belichick wants. Remember that Patterson rushed for 5.4 yards per carry this season. Don’t be surprised if Belichick suddenly springs him on a vulnerable run defense. The longtime backup safety has always possessed a special knack for making big plays in big moments. The 27-year-old quietly has 18 regular-season and playoff picks in six years, with 12 of those coming in the fourth quarter. His four interceptions this season came in big games against the Chiefs, Vikings, and Steelers. The original first option to replace Kareem Hunt had 129 scrimmage yards on 20 touches in a Week 14 victory over the Ravens, before hamstring and shoulder injuries kept him out the remainder of the regular season and the first round of the playoffs. But he might be ready to return against New England, and the veteran back could have plenty of opportunities as the Chiefs try to set the tone and take attention away from Tyreek Hill and Travis Kelce. It’s been an up-and-down season for the third-year slot aficionado, but he still has six interceptions and 22 passes defensed the last two seasons (2017 in Washington, 2018 in Kansas City), and he’ll have a huge matchup in the slot with red-hot Brady favorite Julian Edelman. The Rams’ No. 3 receiver gained 20 or more yards on 21 percent of the 29 catches he made in 2018, and he gained steam late following the loss of Goff’s safety valve, Cooper Kupp. The Saints defense is particularly vulnerable through the air — they gave up a tied-for-league-high 14 40-plus-yard completions during the regular season — and Reynolds could take advantage of the focus being on higher-profile options Brandin Cooks and Robert Woods. Aaron Donald, Ndamukong Suh, Marcus Peters, and Aqib Talib get all the attention, but between them is Littleton — a relatively unknown Pro Bowler who excelled in coverage throughout the 2018 season. He’s also got tremendous play-making ability and is coming off a four-sack, three-interception regular season. If Brees leans too heavily on Alvin Kamara underneath, Littleton could make him pay. Saints offense: Ted Ginn Jr. The veteran wide receiver was injured for much of the regular season, but just a year ago he was the only qualified player in football to average more than 14 yards per reception while catching at least 75 percent of the passes thrown his way. Even at the age of 33, he’s a deep threat — and like the Rams, the Saints are beatable deep. Don’t be surprised if the Rams get caught up so much on Michael Thomas that Ginn breaks through with a big play. The third-year defensive tackle is coming off somewhat of a breakout season. And with fellow interior defensive lineman Sheldon Rankins down, he’ll be tasked with leading the charge against both Todd Gurley and C.J. Anderson on Sunday. Pro Football Focus loved this guy in 2018, and he’ll have a chance to make a tremendous impact against a run-first Rams offense.